Goldberg Med Spa offers our clients a wide variety of laser treatment options with minimal to no downtime. Our lasers are used to treat medical conditions including wrinkle reduction, dark or brown spots, tattoo removal, scars, rosacea, fat removal and skin tighten. For those seeking a better solution for unwanted hair, Goldberg Med Spa has a state-of-the-art laser Candela Gentle Yag to reduce unwanted facial and body hair. Photodynamic Therapy (PDT), commonly referred to as Blu-U, is a special treatment. 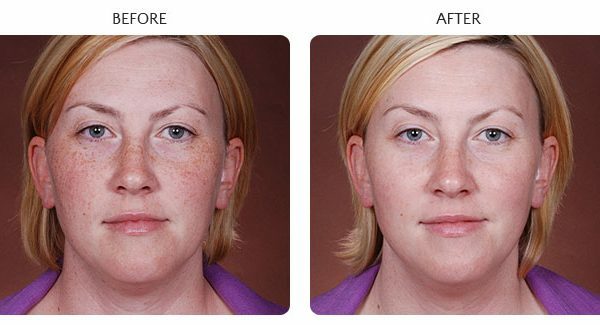 Blu-U treatments can remove sun-damaged spots, fine lines and blotchy pigmentation. It is effective in eliminating pre-cancerous lesions known as Actinic Keratoses. 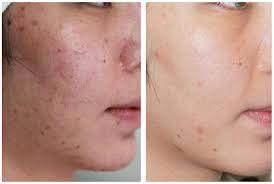 Blu-U is very effective at treating problem acne. It targets the cells, minimizes pores and shrinks oil glands, reducing acne and improving the appearance of some acne scars. There is no hard-to-keep schedule of creams, no pills with side effects – the results with Blu-U are amazing! 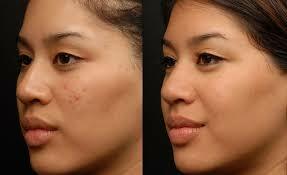 In addition, the Goldberg Medical Spa offers leading-edge technology and options following acne treatment with Blu-U. The search for a versatile and effective laser skin care system has ended with the development of the new elos Plus Sublative laser now available at the Goldberg medical spa. Dr. Goldberg and his team are thrilled to offer a range of comfortable, non-invasive aesthetic services with eLOS Sublative laser which improves skin tone and texture. You will see a significant change in the skin’s appearance after your first Foto Facial treatment. Improvements steadily increase with each additional treatment a series 4-5 treatments are recommended to see optimal results. Reverse the sign of aging with no-down time. The combination of combined bi-polar radio frequency and light energies heat the dermal tissue, stimulating collagen production reducing fine lines and wrinkles, improving overall skin quality revealing a much smoother and even complexion. 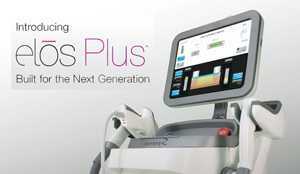 The new Syneron elos Plus is the ultimate multi-application platform, combining numerous cutting edge treatments. 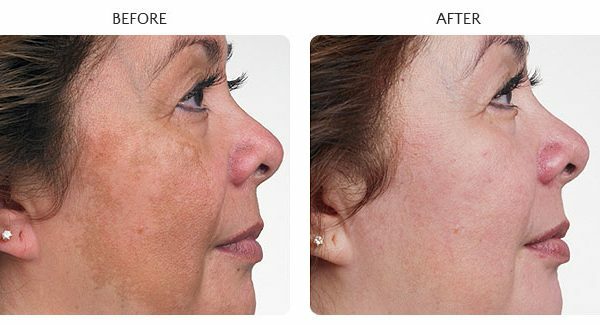 Utilizing Syneron’s elōs technology, which combines optical energy and bipolar radiofrequency (RF), the Elos Plus is the next-generation aesthetic device that has been designed to treat all skin types safely and effectively. elos Plus incorporates elos, the world’s first and only technology that incorporates both bipolar RF and optical energy (either laser or pulsed light). The combination of these two types of energy allows for better total energy delivery into the skin, with the ability to utilize lower levels of both optical and RF energy. Less optical energy, when synergistically combined with bipolar RF, improves safety for all skin types. Sublative rejuvenation generates collagen production by producing heat in the deeper layers of skin, all while keeping the skin’s top layer in tact. This means very little downtime and quick recoveries. Results can often be seen right after the initial treatment. Sublative works by enhancing your own collagen production, the results can continue to improve for six months and last a long time. Recovery is typically a day or two, and most people can apply makeup the next day. Some maintenance treatments may be necessary after a year to enhance and maintain results. 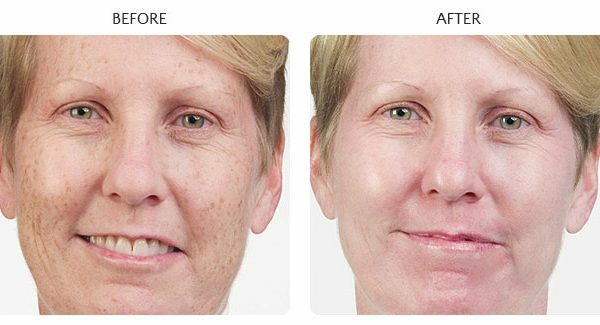 With the sublime function of Elos, you can comfortably reverse the signs of aging without downtime. This technology produces gentle heat to the lower layers of skin with light and radiofrequency energies. It is gentler than the sublative function, and therefore is most appropriate for patients looking to stimulate collagen without any downtime. The effects are immediately visible for a few days after treatment, then less apparent. But with continued sessions, collagen will continue to build, helping maintain a youthful appearance. We have found this treatment to be popular for patients in their late 20s to early 50s. 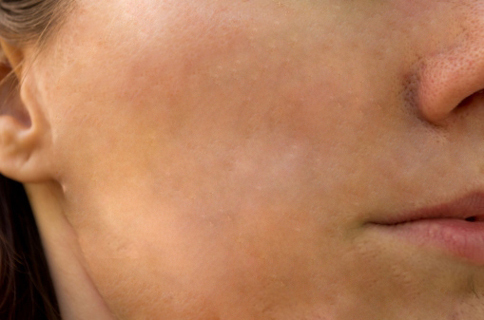 Elos IPL can be used to treat pigmented and vascular lesions. Exposure to the sun and aging lead to skin imperfections such as brown and red spots, that can take away from the natural beauty of the face. Elos uses combined bi-polar radiofrequency and light energy to precisely target brown age spots, rosacea and spider veins. This treatment can be used on all most skin types. During your consultation we will assess your skin and determine if Elos IPL is right for you. Results can be seen after just one treatment, but often additional treatments are necessary to reach complete treatment. This treatment is a no- downtime treatment, and uses a chilled tip to provide cooling comfort to the skin. People are always hoping to find a painless laser hair removal system that makes the procedure easier to tolerate. Elos laser hair removal is as close to painless as one can get. Elos (Motif) LHR uses combined energies to effectively and gently remove hair of many colors and types from all skin tones. Whether you are bothered by continued waxing or depilatory creams, Elos can significantly reduce your unwanted hair. Elos can achieve hair reduction in all areas including the upper lip, cheeks, chin, bikini area, legs and back. And Elos is proven to remove light colored hair on all skin tones which other lasers cannot do. For both men and women, hair reduction is achieved after each treatment. Hair coarseness, color and skin type all help determine the appropriate number of treatments necessary to achieve your final result. Candela-Gentle Yag, reduces 80% unwanted facial and body hair effectively and safely. With Candela’s patented Dynamic Cooling Device technology protects the upper layers of your skin with a cooling burst of cryogen. This is non-invasive and relatively painless procedure is suitable for asking types. The Goldberg med spa offers an array of face and body treatments for patients who wish to address a range of skin care concerns, including acne scars, textural irregularities and stretch marks. For this procedure, Dr. Goldberg has invested in leading-edge technology resurfacing laser, which delivers remarkable results with minimal downtime. 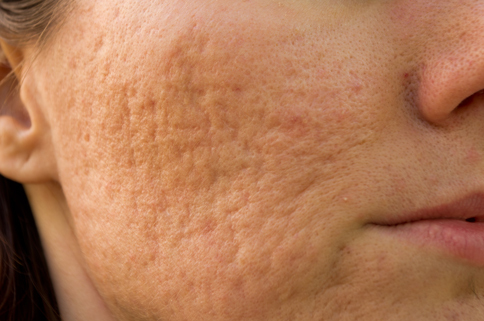 How Does The eLOS Resurfacing Laser Remove Acne SCARS? Our Sublative Resurfacing Laser delivers light in an array of high precision micro beams to penetrate deep below the skin and cause injured tissue to flake off while accelerating the formation of collagen, thereby promoting the growth of new cells, reflecting a smoother texture and youthful skin. WHY IS THE eLOS RESURFACING LASER BETTER THAN OTHER TYPES OF LASERS? The elos Sublative Resurfacing Laser is more advanced and better than other types of similar treatments because it permits full control over the level of penetration. This allows for predictable outcomes and, most importantly, patient comfort. When using the elos Sublative Resurfacing Laser we can select the size of the area being treated and the level of invasiveness of each laser pulse, resulting in effective treatments that are gentle on the skin. Scars are serious skin injuries that generally require a series of treatments for the best results. Because the formation of new collagen occurs over time, final results become evident within 6 to 12 months of the last treatment. Patients who wish to achieve results sooner may choose a deeper penetration level, only if recommended by Dr. Goldberg. A more aggressive treatment may require several days of recovery time. The elos SublativeResurfacingLaser may also be used to treat surgical scars and other types of scars as well as a range of additional skin lesions and problems. To learn more, please contact our spa coordinator and schedule a consultation with our medical consultant.